Innovation technology is reaching children who need it the most in Malawi. 19 July 2016 – In 2016, many people living with HIV do not know their status. Innovative HIV prevention efforts, like early infant diagnosis, are helping to save children’s lives. 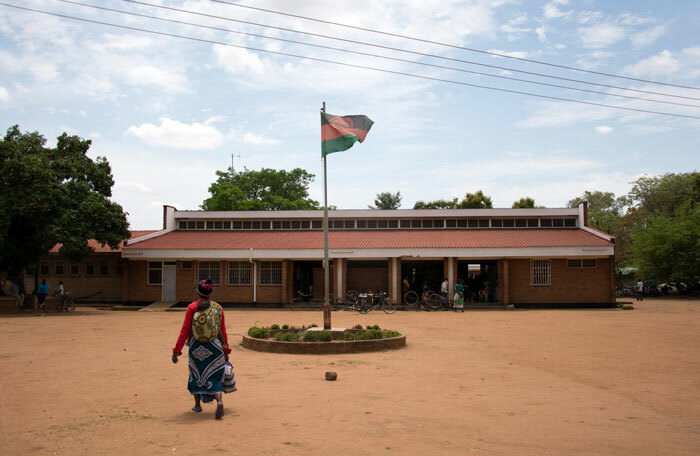 Every day, about eight women living with HIV and their babies travel long distances to the Ntaja Health Centre, in Malawi’s Machinga District, for diagnosis, treatment and care. 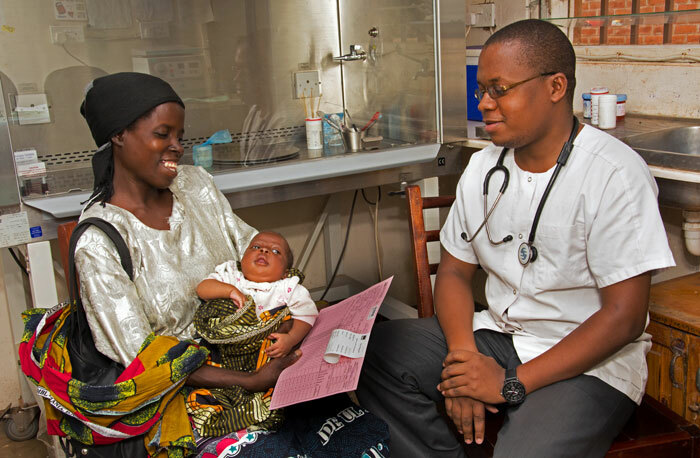 Early Infant Diagnosis is integrated into the mother and child health-care programme. The health facility is providing rapid HIV diagnostic blood tests via a simple and easy-to-use machine at the point of care. 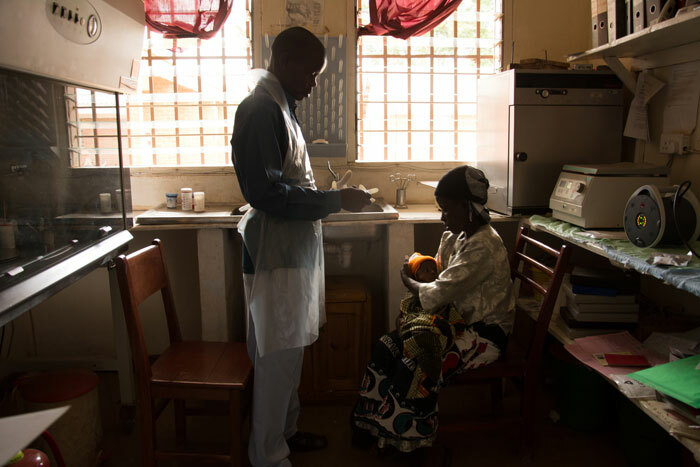 Early diagnosis in the first weeks of life and immediate initiation of treatment is especially critical for children as HIV advances to AIDS very quickly in infancy. The test begins with a quick heel prick to draw blood, which is then put into a cartridge. The cartridge containing the blood sample is then inserted into the point-of-care machine to be analysed. 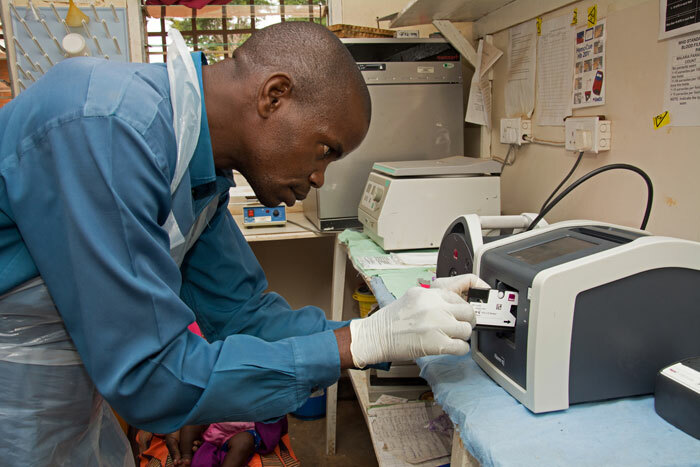 Health worker Michael Bulla puts the cartridge into the machine to be read, to determine the child’s HIV status. A test report printout of the results of a child’s blood test is the last step in the diagnostic process. 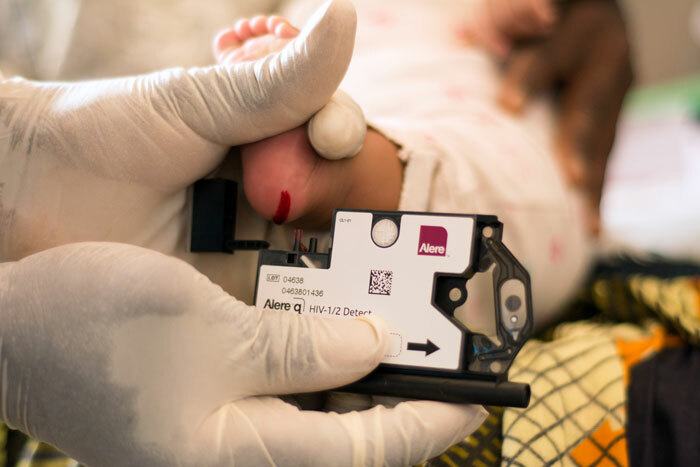 Each point-of-care test takes just 50 minutes, dramatically cutting long turn-around times — previously two to three months — and the need for women to return to the health facility to get their child’s results. Learn more about UNICEF’s work in HIV/AIDS.